Enjoy Utah! 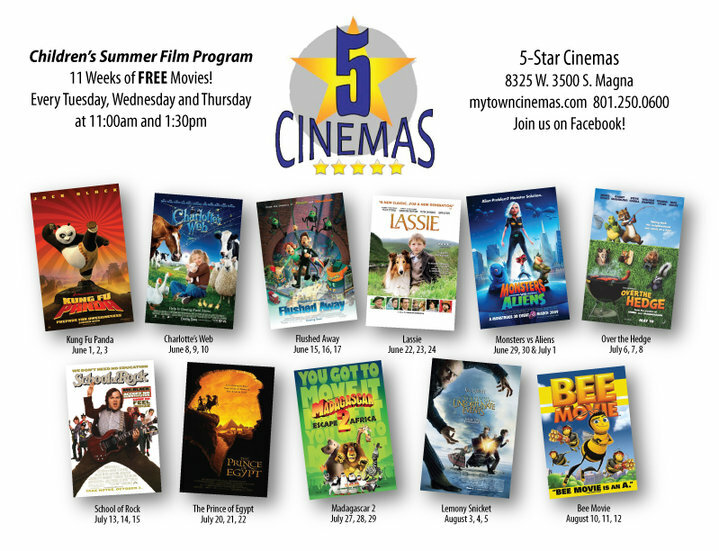 : FREE Summer Movies!!! The movie 5 Star theater in Magna, UT is doing FREE kids movies all summer long, three times a week, twice a day! You don't have to sign up or anything....just show up, and it's free! They are located at 8325 W 3500 S in Magna. For more information, visit their Facebook Page!